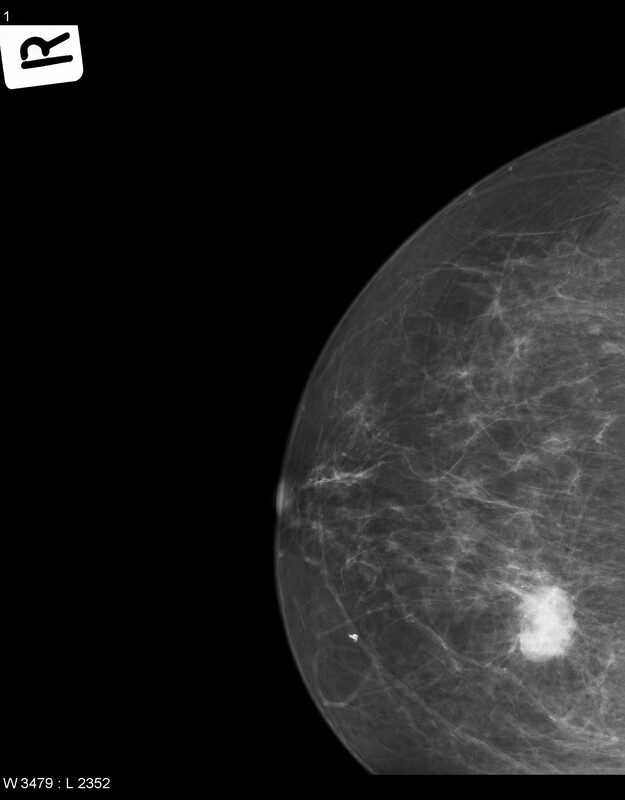 This pathway provides guidance on the screening imaging of adult female patients at higher than average risk of developing breast cancer. 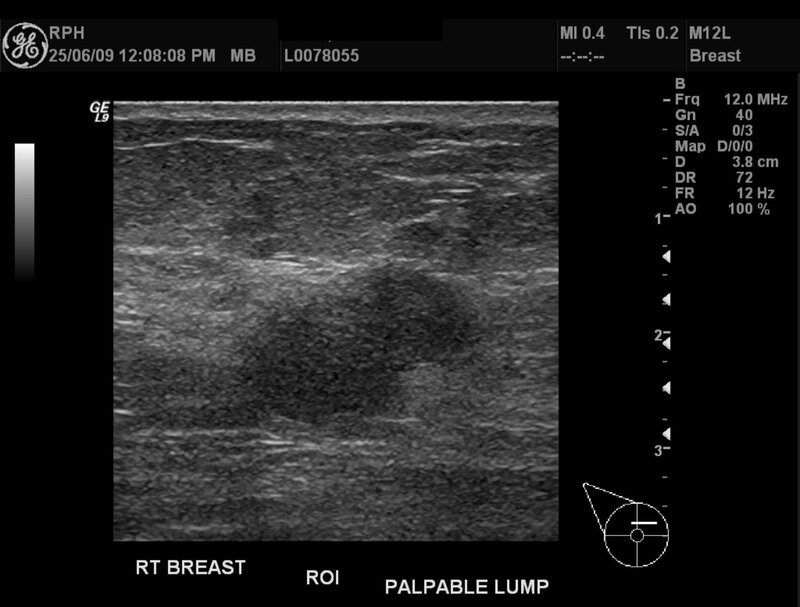 Image 2 (Breast Ultrasound): Poorly circumscribed region of increased echogenicity on ultrasound consistent with breast cancer. 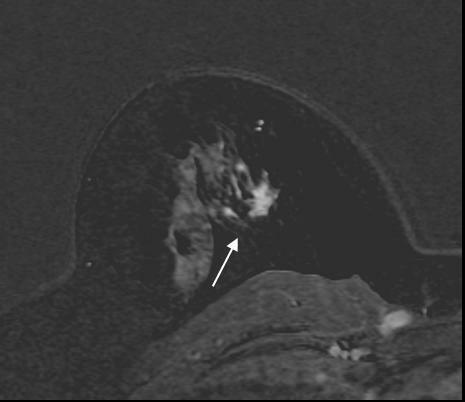 Image 4a, b and c (Breast Magnetic Resonance Imaging): Images show an irregular spiculated mass causing distortion to the surrounding stroma. 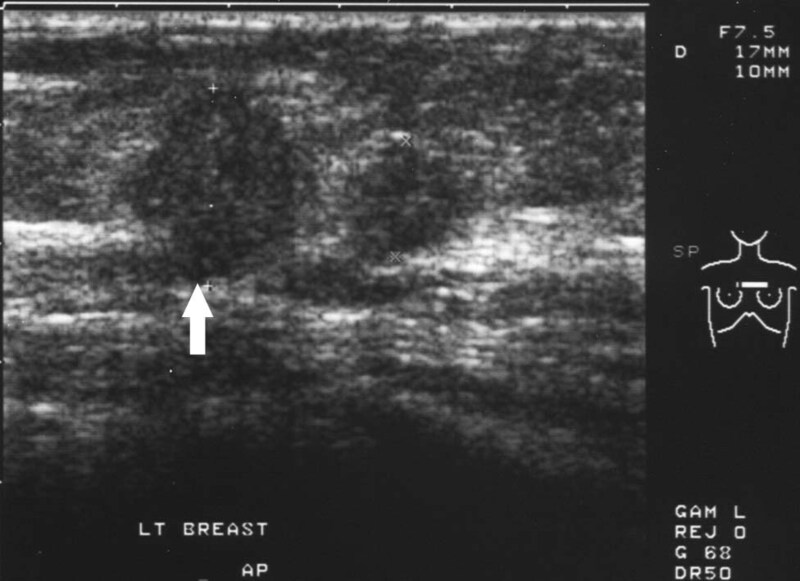 The features are those of an invasive breast cancer. 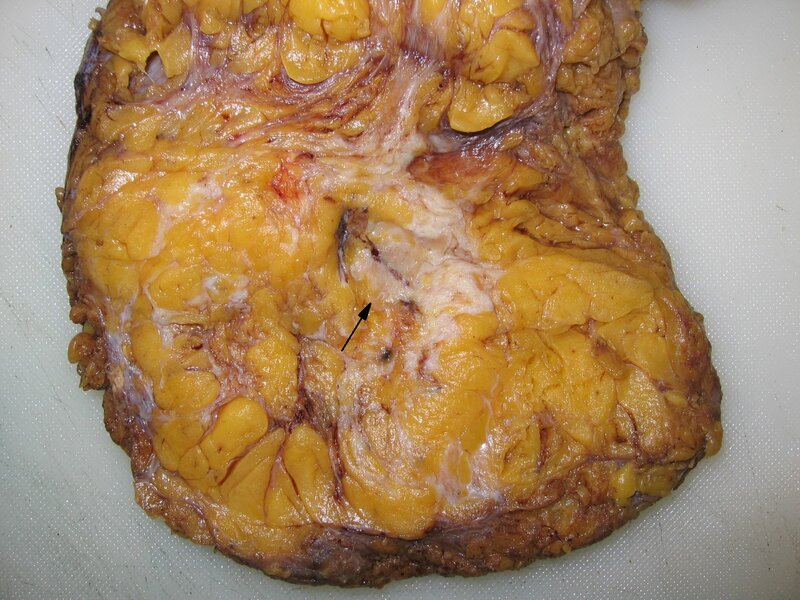 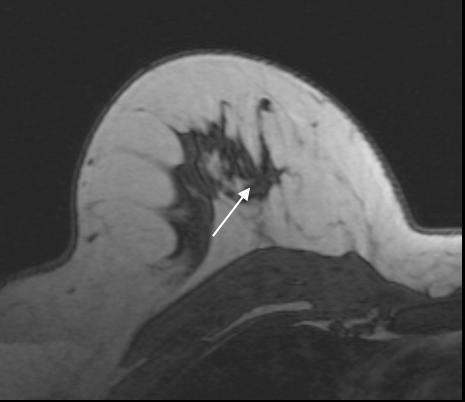 Image 5a: Mastectomy showing an irregular pale tumour (arrow) with surrounding fibrosis consistent with a breast carcinoma. 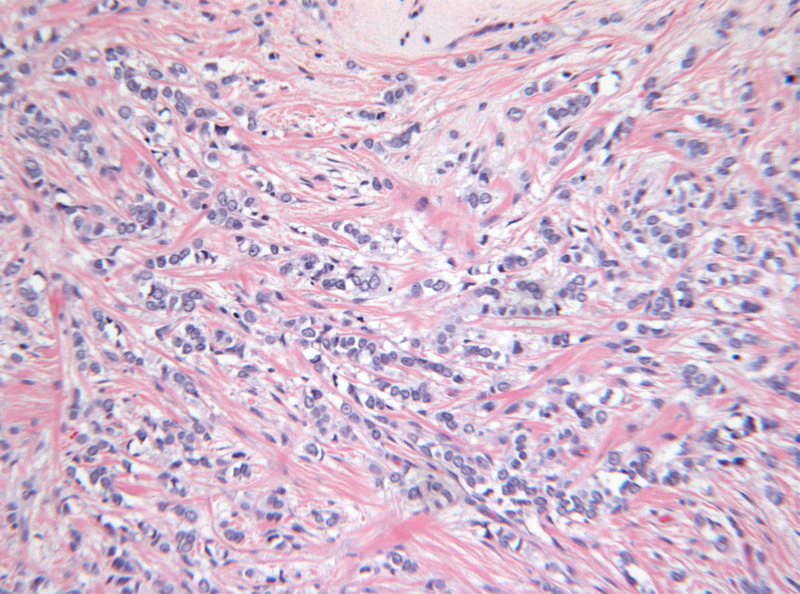 5b Image 5b (H&E, x2.5): Histological section of a moderately differentiated (Grade 2) invasive ductal carcinoma, type not otherwise specified, infiltrating through the breast parenchyma and surrounded by desmoplastic stroma. 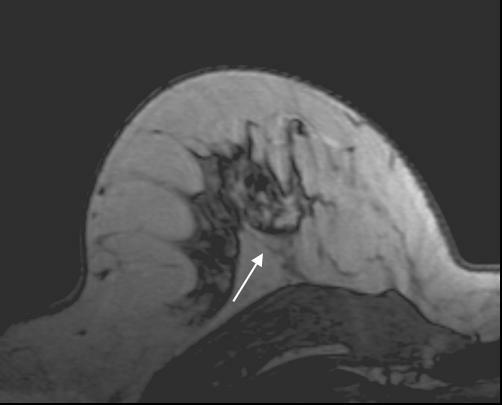 Occasional poorly formed tubules can be seen at the periphery (arrows). 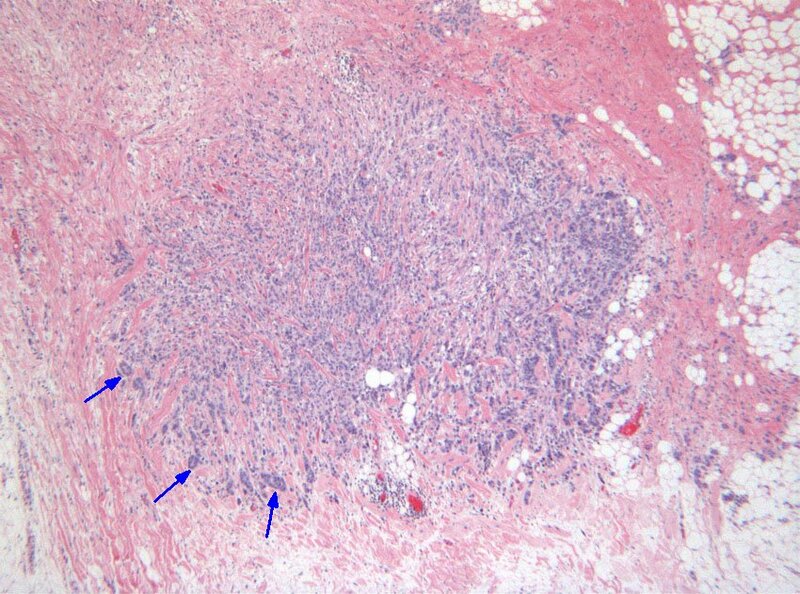 Image 6 (H&E, x10): Histological section of a typical invasive lobular carcinoma showing the classical alignment of single cells in rows.